You'd have to be living under a rock to not know about the recent tornado that ripped through West Liberty, Kentucky a few days ago. 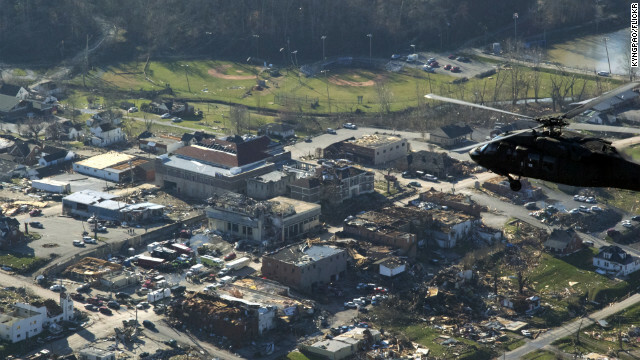 The devastation to that small town was tragic and it will take some time to rebuild what was lost in the storm. Monday morning we received word from our friends over at Lion Apparel, maker of turnout gear, job shirts, pants, uniforms, etc, that their manufacturing plant is located right in West Liberty. Thankfully, they were able to report that none of their employees reported any critical injuries. They also were able to report with much thankfulness that their plant sustained only minor damage, and would be without power and service for just a few days. Lion believes fully in wanting to help their community in this process to rebuild and many of their employees whose homes were destroyed by the tornado. They will be doing all they can to assist them during this time. Or you could consider donating to the American Red Cross Disaster Relief Fund.